The lively coastal town at the foot of the Sila Greco is probably older than Rome and was once an important place in the Byzantine Empire. Testament to this are the Church of San Marco and the cathedral. Building works began in the 6th century, therefore making it half a millennium older than the Romanesque churches of Cologne! Quite close to Rossano is the Monastery of Santa Maria del Patire. The Byzantine site is worth a visit – also because of the “giants of the Sila Greco”: 80 majestic trees in the nature reserve Cozzo di Pesco. The chestnut, maple and oak trees have an average age of over 700 years! Outside of Rossano is the Monastery of Santa Maria del Patire. The Byzantine facility of 1105 is worth a visit – because of the “Giganti della Sila Greca” close by. 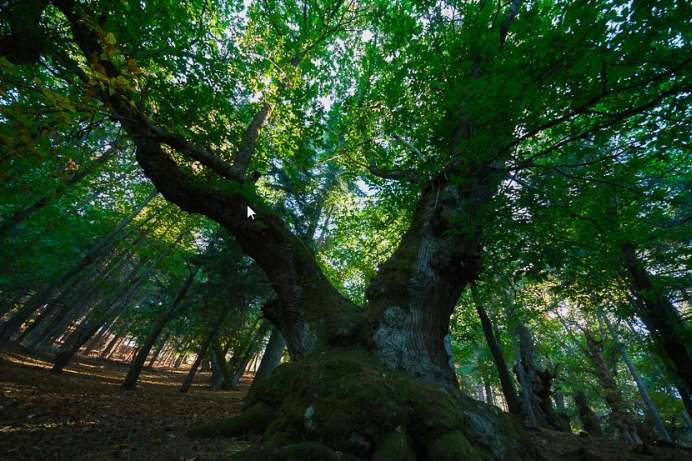 The giants of the Sila Greco are 80 majestic trees in the nature reserve Cozzo di Pesco. The chestnut, maple and oak trees have an average age of over 700 years. Several trails lead through the territory.